PE Creative: How big is your dog? ...or your cat for that matter...! Parkhouse Evans have recently teamed up with Crown Pet Foods to develop a website specifically aimed at helping pet owners understand the problems associated with their pets health. 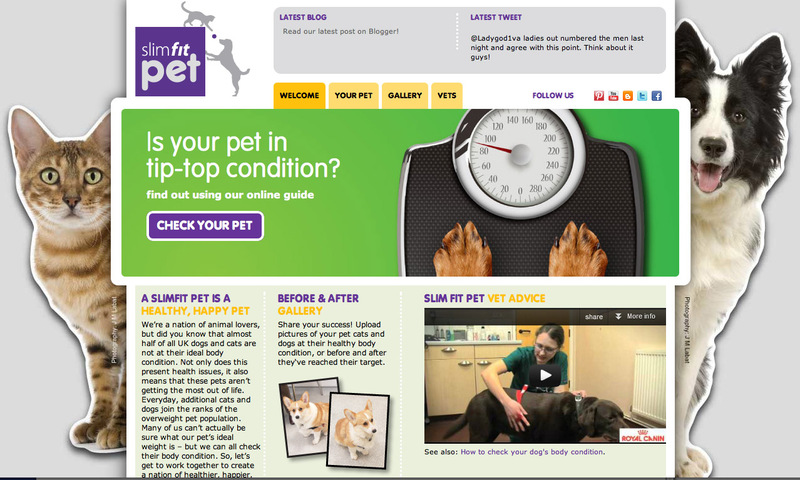 Slim Fit Pets has a “Body Score Count” system where owners can identify their pets body type and via a range of easy to answer questions drill down to an easy to understand result – giving advice about diet and possible issues. The site will also include guidelines for pet care, vets advice, movie clips, galleries and twitter and blog feeds. The images are only visuals at this stage with the real site due to go live in November.